/mo for 12 months with new service. After 12 months $54.99/mo. regular price applies. Speeds vary based on service address. Not available in all areas. 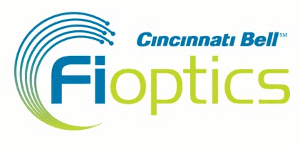 Cincinnati Bell 20Mbps Fioptics Internet offer the perfect speed to get more done when you have more people in your house. The whole family can surf, download and watch videos at lightning fast speeds. ESPN3 included at no extra charge! * For 12 months when you activate new Internet service. After 12 months $54.99/mo. regular price applies. Speeds vary based on service address qualification.